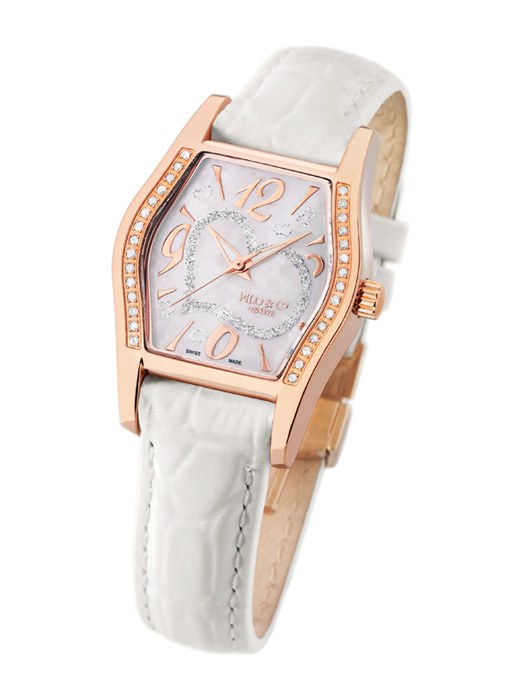 Always on the alert tendencies which are outlined, the brand PILO & Co Geneva launches its light Allegra, cheerful and mischievous, the brightness of which seems to have been fed by the women’s glance. Present on about twenty markets, the brand distinguishes itself by its captures of moment, placed under the signs of the watchmakers, the design, the tendency and the accessibility. Strong conqueror, by the game of its attractive collections, not omitting its “specialities” of set and personalized models, Pilo and Co acquires her letter of prestige on the international market. Of excellent composition, this last-born watch of Pilo and Co. confers to the transports of enjoyment. The multiple inspired versions walk their joy of living in the course of the extreme portability, of a banter and light humour, contagious. Becoming as ever, it marries the slight wrist and matches well with the colours worn; White, ivory, pink, green, red or purple, its dials of mother-of-pearl transcend the steel or rose gold of its noble cases, on which romp about thirty diamonds. 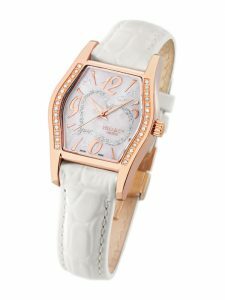 The sapphire glass and the genuine leather strap with a folding clasp are sharpness in sync with its elegance. “Allegra” is conceived from the bottom of the heart for very demanding women. Constantly renewed, opened to the customizations. Characterized by its constant renewal science and by the stamina of its predisposition to precede the tendency, Pilo & Co distances herself from the day of its creation in 2001 by its art to conjugate the identities. Among the recognized Swiss Made signboards, strong from the beginning with a mastered expansion, the brand does not face any breathlessness. Covering all segments, she knows how to be on the mechanical or industrial side without ever living aside her good taste. So, she faces the increasing approaches of buyers wishing to dissociate themselves, by ordering a coherent customization, often steered by precious stones and arts of setting. Offering very attractive prices, it is one of her differences. Pilo & Co is present in Switzerland in the windows of more than forty selling points and owns an eponymous shop in Geneva. She bets on China where already 8 shops are opened, without omitting to mention her faithful export markets: Albania, France, Germany, Holland, Kazakhstan, Lebanon, Libya, Malaysia, Middle East, Moldavia, Russia, Spain, Syria as well as the USA.